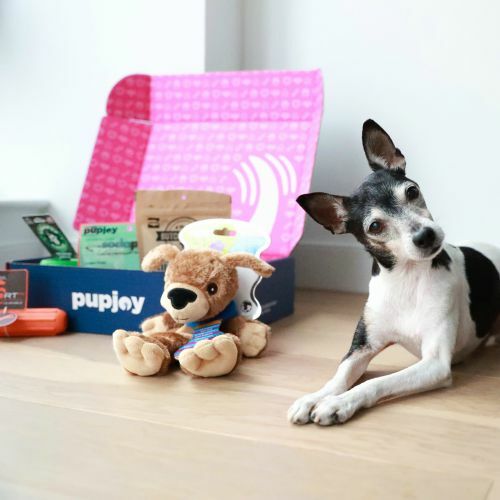 Each Mini box contains a budget-friendly sampling of one bag of yummy limited-ingredient treats, one artisan-quality toy, and one all-natural chew. Each Uno box contains 2 full-size bags of yummy limited-ingredient treats, 2 artisan-quality toys, and one all-natural chew. This is our most popular option! Each Grande box contains 3 full-size bags of yummy limited-ingredient treats, 2 artisan-quality toys, and 2 all-natural chews. Prices include a 25% discount off retail pricing for orders of 100-199 boxes shipped to a single location. For multiple location orders, you can place an separate order for each location or contact [email protected] and we'll be happy to take care of it for you.